Superstar Akshay Kumar’s last week released satirical romantic drama Toilet Ek Prem Katha is the long race horse and won’t be slowed down so soon at any way. With a positive word of mouth, it is heading strongly in the second week too and dominating the new offerings with no mercy. 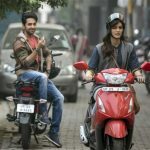 This Friday released little buzzed romantic comedy Bareilly Ki Barfi made good impression on fans as well as audience with the promos. But still hit the screens with average hype and got slow opening at domestic box office. Infact the Hollywood’s horror movie Annabelle: Creation has witnessed better start than it. 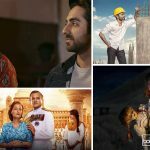 Ashwiny Iyer Tiwari’s directorial Bareilly Ki Barfi starring Kriti Sanon, Ayushmann Khurrana, Rajkummar Rao and Pankaj Tripathi. Despite some good punches and satisfied performances, it is getting mixed reviews from critics as well as audience. This is why remained almost flat over the opening day and minted 2.42 crores. 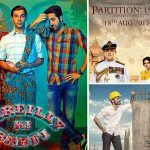 While the Hindi version of the English movie Viceroy’s House, Partition 1947 is getting positive reviews due to it’s solid content but hasn’t got succeed to attract much audience toward theaters on the opening day. Huma Qureshi & Manish Dayal starrer this historical drama raked only 0.11 crore domestically with both the versions. On the other hand, Hindi version of last week’s Tamil movie Velai Illa Pattadhaari 2 aka VIP 2 also has received almost mixed reviews from critics and recorded dull performance at box office. 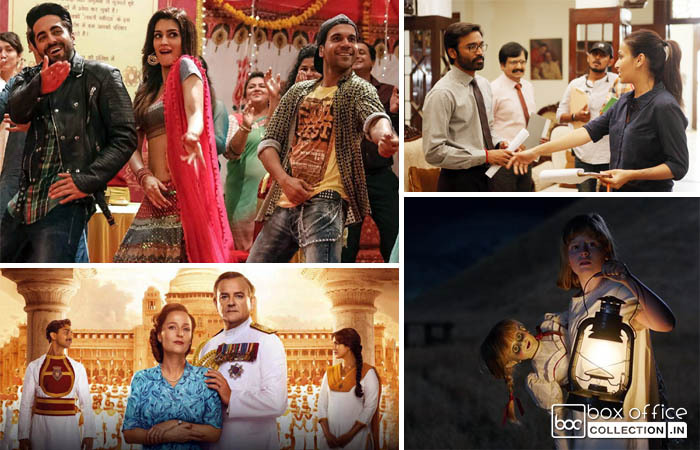 On the opening day, Dhanush & Kajol starrer managed to collect the business of only 0.55 crore from Hindi screens. Last but not the least, new installment from Hollywood’s horror franchise The Conjuring, Annabelle: Creation received positive reviews from viewers and also got comparatively better opening the Hindi movie Bareilly Ki Barfi. It garnered the business of 4.50 crores from English, Hindi, Tamil & Telugu versions across India on Friday and 2.75 crores with paid previews from Tuesday to Thursday. While the Akshay Kumar’s Toilet Ek Prem Katha bagged the amount of 4 crores on it’s 2nd Friday and positively expected to take good growth over the second weekend domestically.